Weak La Niña predicted to end in autumn! The La Niña in the tropical Pacific Ocean continues to decline. 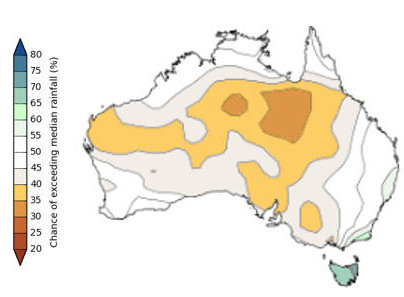 This weak event has had little effect on Australian climate and is expected to decay by early autumn. The Indian Ocean Dipole (IOD) is currently neutral. 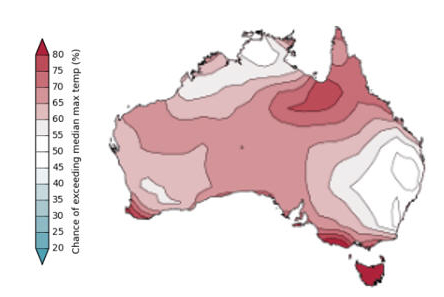 In addition to the natural drivers such as the El Niño–Southern Oscillation and the Indian Ocean Dipole, Australian climate patterns are being influenced by the long-term increasing trend in global air and ocean temperatures. For further information go to the Bureau of Meteorology Website. 2017/18 Total pasture growth Arrows indicate trend compared to the long-term median. Current estimated standing biomass Arrows indicated trend since previous quarter. Current fire risk Arrows indicate the trend since the previous quarter. Current seasonal outlook Arrows indicate the trend since previous quarter and consider forecasted model predictions.